7075-T6 Heat treated aircraft tapered aluminum technology. Computerized tapered walled aluminum flexes when riding to reduce rider fatigue and arm pump. Computerized mandrel bending provides the strongest and highest quality snowmobile handlebar available. Clamp surface is 1 1/8” and tapers down to 7/8” to fit stock controls and grips. 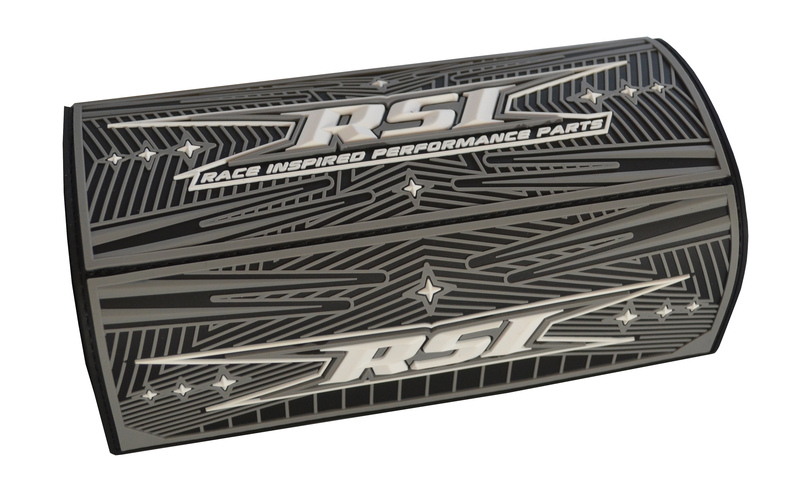 RSI exclusive 3D molded bar pad included. 1 1/8” oversized clamp kit or risers are required to mount to snowmobile. Custom snowmobile specific bends offer more comfort than stock handlebars. Guide lines on ends of bar for narrowing handlebar to a custom width. Available in Black with Laser Logo. Aluminum 16 Degree with Hooked ends.